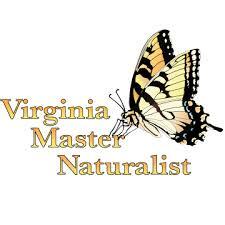 Each year, our chapter submits a record of what our members have accomplished to the Virginia Master Naturalists home office in Charlottesville, VA. This year, we recorded 12,569 hours across 137 citizen science, education, and stewardship service projects, in addition to chapter administration. As Past President Michael Reinemer recounts, numbers alone convey neither the dedication of our volunteers nor the outcomes of their work. Those results of these hours, so generously given, include bird counts and surveys, maintenance of bluebird houses and trails; installation and monitoring of nest structures for Purple Martins; stream monitoring; outreach to school children; education on native plants; citizen science efforts to collect data on wildlife populations, native plants, pollinators, and other natural resources; work with partners such as Earth Sangha, Northern Virginia Soil and Water, Fairfax County Parks; and many more. The report itself is available in its entirety. Road salt (sodium chloride) is everywhere during winter months. It keeps us safe on roads and sidewalks, but it can also pose a threat to fish and wildlife as well as human health. Fish and bugs that live in freshwater streams can’t survive in extra salty water. And many of us (more than 118 million Americans) depend on local streams for drinking water. Water treatment plants are not equipped to filter out the extra salt, so it can end up in your tap water and even corrode your pipes. What can you do? Before a winter storm (to get a baseline reading). After salt has been applied to roads. After the first warm day or rainstorm following a snow or freeze. After the next rain event. STEP 2: Share your results using the free Water Reporter app. Just follow these simple instructions. With test results in one place, we can identify salt hot spots around the country, and you can see how salt is affecting your community. Check out the Winter Salt Watch map below! STEP 3: Take action. If you find high levels of chloride, let someone know! Call your city or county department of environmental protection to report high chloride levels or large salt piles. Share road salt best practices with community managers and state agencies. Protect the health of your streams – and your community – with Winter Salt Watch! The central mission of Virginia Working Landscapes (VWL) is to promote sustainable land use and the conservation of native biodiversity through research, education, and community engagement. First assembled at the Smithsonian Conservation Biology Institute: Front Royal, VA in 2010, VWL was formed at the behest of regional landowners, citizen scientists, and conservation organizations who wanted to better understand how to conserve Northern Virginia’s native wildlife on working (i.e., agricultural/forestry) lands. According to The International Union for Conservation of Nature, grasslands are “the most endangered, the most altered, and the least protected biome on the planet.” Today, many plants and animals that depend on grasslands have declined, due primarily to the loss or fragmentation of their native habitat and one-third of North American species considered endangered are found on grasslands. Recognizing the need to consider grassland species when studying native flora and fauna on working landscapes, VWL’s initial research focused on grasslands. Since 2010, they have expanded our focus to other working lands (forests) and to consider the impact that changes in the overall landscape mosaic have on native biodiversity. VWL partners with scientists, graduate students, interns, and volunteer citizen scientists to organize and conduct annual biodiversity surveys on public and private lands throughout the region. This work is important because humans receive many tangible and intangible benefits from the natural world — from the spiritual (a walk through nature) to the utilitarian (the value of food production). How will current land-use practices (and projected changes thereto) impact grassland biodiversity? How are ecosystem services, like pollination, related to species presence or native biodiversity? Are quail Habitat Management Areas effective at restoring bobwhite populations? How might they be improved? Does arthropod community composition or nutritional value differ in cool- vs warm-season grass fields? What are the implications of this difference for birds or other insect-eating animals? What impact does field management timing have on overwintering bird or insect diversity? How does the establishment or maintenance of native grasses impact plant communities? To this end, VWL conducts six surveys on breeding birds, bumble bees, grasslands, orchids, mammals, soil, and arthropods. Each year, VWL and SCBI train a group of citizen scientists to conduct these surveys on private and public lands and recruit private landowners who enable us to collect these data on their property. FMN supports this work and you can claim service hours for your participation (C200: Citizen Science Projects for the Smithsonian Conservation Biology Institute). For more information, please contact Outreach Coordinator, Charlotte Lorick, at 540-635-0038, visit www.vaworkinglandscapes.org), or find VWL on Facebook & Instagram. This specific report is on the survey results for The Clifton Institute. Reports for other sites are available from VWL. On June 14, 2018, residents of a Reston housing cluster noticed hundreds of dead and dying bees on their parking lots and lawns. They were concerned because they were aware of the importance of bees, but were unsure what to do about it. They contacted the Environmental Resources Department of Reston Association (RA). 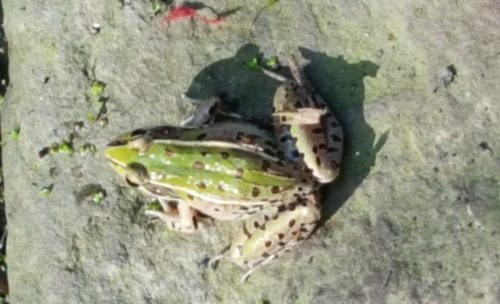 With the help of a couple of Fairfax Master Naturalists, RA submitted a pesticide complaint for the residents to the Virginia Department of Agriculture and Consumer Affairs (VDACS). VDACS collected specimens of the dead bees and pollen and sent them to a lab for pesticide analysis. It was also reported to the EPA Office of Pesticide Programs. RA also contacted a bee specialist with the Bee Inventory and Monitoring Lab of the United States Geological Service (USGS). He identified the bee species and counted the dead bees which had been collected by RA: 1278 bees, comprised of 13 species, only a few of which were honeybees. The most common bees found were two-spotted bumblebees and common eastern bumblebees. The USGS specialist believes the incident is “actually nationally important”. On November 6, 2018, VDACS sent its report to RA. The lab found the neonicotinoid Imidacloprid in the specimens. The investigation found that Imidacloprid had been applied as a systemic pesticide to the basswood trees in violation of the Virginia Pesticide Control Act. To put this incident in perspective, bees are critically important pollinators, responsible for pollinating about 75% of the fruits, vegetables, and nuts grown in the U.SA. But the populations of bees have been declining drastically nation-wide. More than half of US species are in decline and a quarter are at risk for extinction. The probable causes are pesticides and habitat loss. In particular, neonicotinoid pesticides (also known as neonics for short), such as Imidacloprid, are highly toxic to bees and can have serious sub-lethal effects on bees’ foraging ability and reproduction. Neonicotinoids can remain toxic to bees for years when used as a systemic insecticide. They are widely believed to be a major contributor to the Colony Collapse Disorder for honeybees. However, neonicotinoids are widely used in agriculture as seed coatings, foliage sprays, and irrigation water additives. More problematic is the use of neonicotinoids in horticulture, where training may be limited and regulations may not be as closely followed. There is a growing movement world-wide to restrict the use of neonicotinoids for the sake of bees. For example, in 2015, Oregon banned the use of four neonicotinoids on linden and basswood tress after a large bee kill in 2013 caused by a neonicotinoid pesticide. In 2013, the Save America’s Pollinator Act, intended to limit the use of neonicotinoids, was introduced in the U. S. Congress. In 2015, Montreal banned the use of all neonicotinoids within the city limits. In February 2018, the European Food Safety Authority banned three neonicotinoids for all outdoor uses because of the threat to bees. Individuals and landscaping companies in Virginia should carefully follow pesticide labeling instructions and the Virginia Pesticide Control Act. In particular, do not use neoniotinoid systemic insecticides on linden, basswood or other trees in the Tilia genus. Virginia residents, particularly FMN members, can assist in saving bees by reporting sites with many dead or dying bees to VDACS directly, 804-371-6560. For more information on pollinators, contact The Xerces Society, Plant NOVA Natives, or the National Wildlife Federation. Want to see beautiful fall-tinged leaves without the crowds? Read on! While on a wandering web surf, I chanced upon the Virginia Department of Forestry (VDOF) website. The dramatic photo headlining the “Wildfire Situation Report” link caught my eye, and I was hooked. Under the Current News and Events tab is a Most Requested Information and Services tab. It provides links to contact my local forester, shop for seedlings, or learn about being a wildland firefighter. My favorite, however, is the amazing link to Fall Foliage in Virgina. Having just spent a weekend near Shenandoah National Park where I saw more rain than colorful leaves, I was eager to learn where and when I might find fall hues. The October 6th Weekly Fall Foliage report had my answers. Well written and informative, its poetic language spoke of “nature’s big wardrobe change,” discussed the impact of weather on leaf color and which trees will change first. It even provided a review of colorful wildflowers to see. 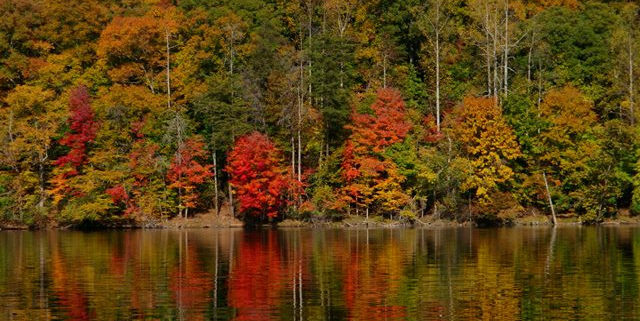 The next section is a chart of Virginia Trees and Colors, which appealed to the naturalist in me, and then, best of all, a guide to the first ever VDOF Fall Foliage Driving Tours. The described routes are “off the beaten path,” avoid traffic, and still provide beautiful views of autumn’s trees. The foliage section of the website provides even more, including up-to-the-minute phone hotlines, places to visit, and a scientific description of why leaves change color. This gem of a website deserves to be discovered. Give it a try! Janet is a graduate of the Fall 2015 Fairfax Master Naturalist cohort. The Innovation Toolkit, ’cause you want to make stuff better, right? A multi-disciplinary team of engineers from the MITRE corporation curated the MITRE Innovation Toolkit to help the community of innovative thinkers jumpstart the innovation process. These tools help people understand how, when, and why to innovate, provide best practices and guidance, and jump-start the problem-solving process. They have organized the catalog of tools according to a team’s objective, team size, and style. Do you ever have to? want to? facilitate problem solving sessions in your work or community of naturalists? Try Rose-Bud-Thorn to conduct an analysis by visually categorizing positive (rose), potential (bud), or negative (thorn) aspects of a topic (e.g., system, product, process). Try Lotus Blossom to focus the power of brainstorming using a structured, visual representation of ideas—pushing you to fill out every box with new ideas. Try Trimming to visually document a someone’s experience through actions, pain points, wins, and opportunities in a process. There are more tools on the site, and all of the materials are free to download. https://fairfaxmasternaturalists.org/wp-content/uploads/2018/09/qtq80-o8I4MU-e1537919869682.jpeg 348 500 Marilyn Kupetz https://fairfaxmasternaturalists.org/wp-content/uploads/2017/02/FMN-Logo-300x222-1-300x222.png Marilyn Kupetz2018-09-25 23:51:562018-09-25 23:58:26The Innovation Toolkit, 'cause you want to make stuff better, right? I’ve had a life-long interest in amphibians and reptiles. 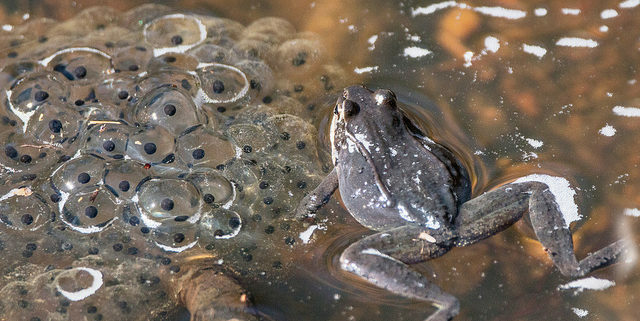 My go-to tool for learning about local frogs, toads, salamanders, lizards, snakes, and turtles is the well-organized website maintained by the Virginia Herpetological Society. With a few clicks, you can quickly access the type of herp that interests you, then drill down to the species via lists that are local species only. Each species has a detailed range map, written description, and multiple photos, along with sound files for species that vocalize. Where the juvenile looks different from the adult, there are photos pointing out the differences, along with descriptions or photos explaining how to tell apart similar species. The site is kept up to date with name changes, so Eastern Box Turtle is now correctly called Woodland Box Turtle, and descriptions contain the scientific name, too. There are sections on typical habitat and food eaten, too. I find this resource is more complete than a field guide designed for a larger geographic area. After reviewing all this information, I always have a sense that I know exactly what I should be looking for when I go into the field in search of herps. VHS is about education in more ways than just “book” learning. If you are fortunate enough to have a picture, you may email the VHS for identification and they will also answer questions without a photo. Each year the VHS conducts multiple bio-blitz outings across the state. I find it very interesting to read the list of species that a dedicated group can locate in a single day in a local wildlife refuge or park. It gives me a good sense of what I might be able to find, too. I haven’t been able to join the VHS on a bio-blitz yet, but hope to do so at some point. Many VHS members volunteer to help Master Naturalists learn about herps by teaching basic training classes or advanced training, so please let them know if you like their website and Facebook posts. Salamanders: 56 species and subspecies. Lizards: 9 native species and two introduced species. Snakes: 34 species and subspecies; only 3 species are venomous. Turtles: 25 species and subspecies; five are sea turtle. I hope these statistics tempt you to learn more. Just go to the VHS website! Sarah Mayhew is a graduate of the 2009 Fairfax Master Naturalist cohort.